Sometimes I think I’m just not mean enough, not wily enough, not cruel enough. It seems like the people who get things done have all those qualities, the people who achieve a certain kind of greatness, the people with influence and power. Today I wrote a letter, or four letters, actually, to my congressman, my senators, and to the President. They are cover letters to go with the statement RevGalBlogPals has made about the travel ban. 354 people signed on to the statement, from across the country and even beyond U.S. borders. I’m under no illusion that it will make a difference to the President. I wonder how the disciples felt going out into the world? Were they hopeful enthusiasts? I’ve been that person, convinced that humankind had turned a page in our collective story, toward more kindness and acceptance. Along the way they met people who rejected them, who rejected the Savior they came to represent. They had to shake dust off their sandals and move on to the next town. They had power over demons, but that didn’t make everyone agree with them. We live in a time of aggressive disagreement. I wish I still had that hopeful enthusiasm. I pray we are living through a wild pendulum swing that will prove temporary, but I recognize that while many will be just fine in the midst of this moment, those who do suffer will suffer terribly. Here’s my question. If things do come round right, will there be equal suffering for the ones who presently hold power and are using it in ways I believe are wrong in God’s eyes? Jesus called the names of cities that would “cast down to the place of the dead.” (That’s in verse 15. I read all of chapter 1o today.) 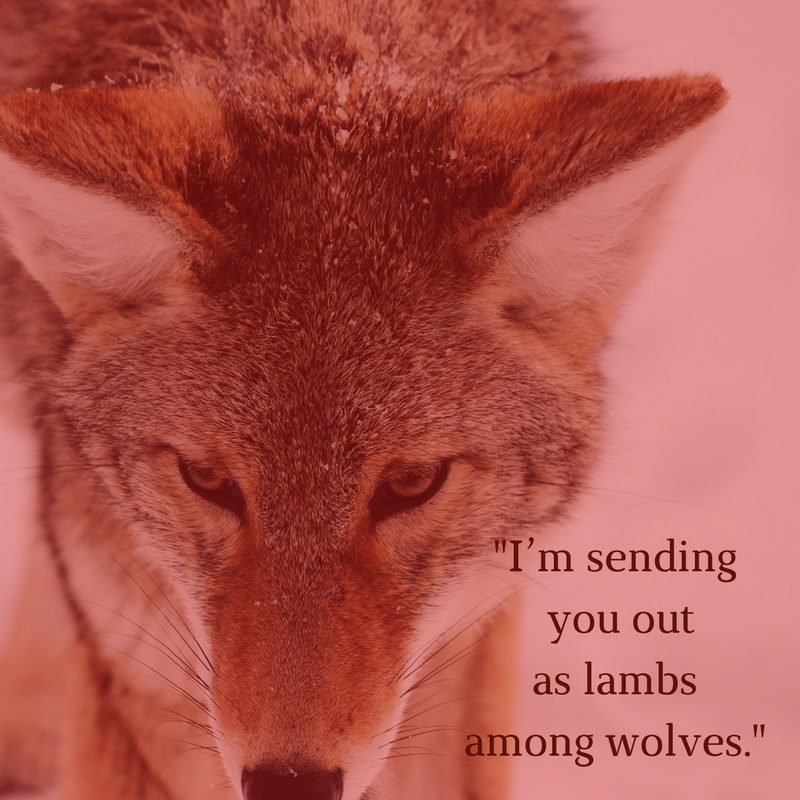 This is what happens to wolves, at least the metaphorical ones. I guess my preference is for changes of heart all around. 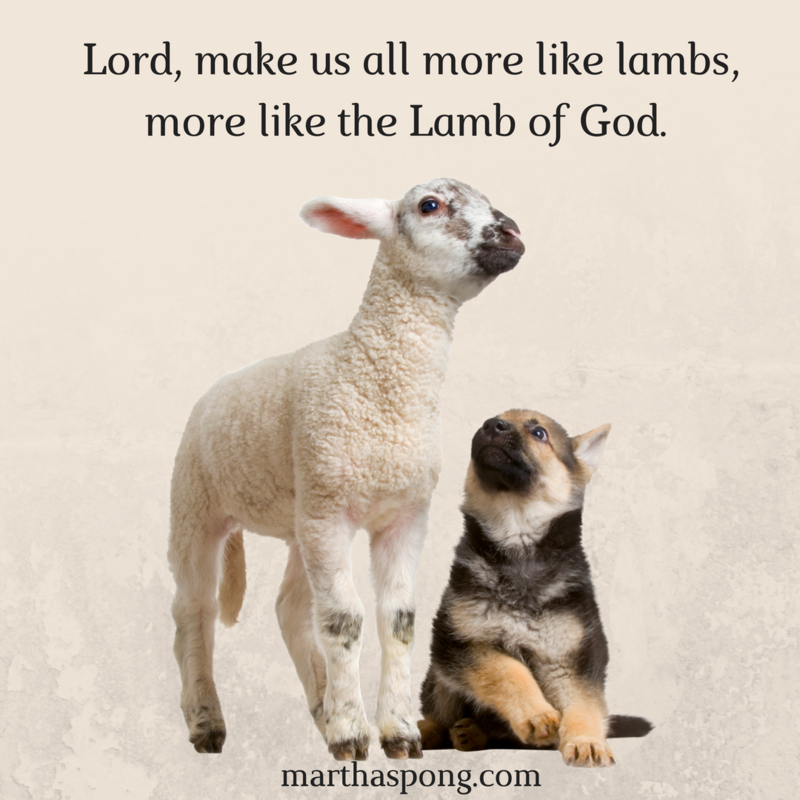 Lord, make us all more like lambs, more like the Lamb of God. Amen. Next postKnock, and it will be opened – really?